Brings new, positive business opportunities by maximizing relationships with the A&D community and corporate executives. Maintains and grows familiarity within the commercial real estate industry. Professionally represents the brand, and understands, respects, and works with team members. Leads the marketing effort and increases business community awareness. Provide ongoing contact with clients on selected accounts. Develop relationships with furniture influences in the marketplace. Business Developer reports to Vice President-GM. Bring new, positive sales opportunities. Network to identify opportunities. Consult real estate contacts, A&D community, manufacturer’s representatives, and project management firms. Obtain and grow current market leads and business opportunities from the commercial real estate industry, A&D professionals, and general business market. Provide the highest level of sales ability to maximize success rate. Maintain a weekly pipeline of sales activity with next action step(s). Strategize with the team members to determine which opportunities to pursue and who is best suited to pursue them. Strategize on proposals, mock-ups, and presentations. As appropriate, provide the leadership on facilitating the sales process. Attend sales meetings, twice monthly. Complete monthly report. Attend industry events (IIDA, NeoCon, Greater Sacramento, and AIA). Manage the bid requests, mock ups requests and showroom, presentations. Perform tasks as a specialist by supporting team with knowledge of products and processes. Attend product training and events. Coordinate and lead in events to develop exposure. Attend and coordinate monthly weeknight events. Maintain mailing lists and mailing program. Communicate with San Francisco and San Jose’s Account Managers for potential cross-market opportunities. Attend national and regional trade events and related professional organization meetings. Share industry knowledge including competitive trends and product information through participation in company meeting and project management training. Ability to communicate (i.e., strong interpersonal skills, written and verbal) effectively, clearly. Ability to complete assignments timely and thoroughly using a proactive and self-starter approach. Ability to prioritize and manage multiple deadlines. Prior sales experience working with the A&D community and with clients. Ability to delegate and mentor. Ability to be flexible and adapt to changes. 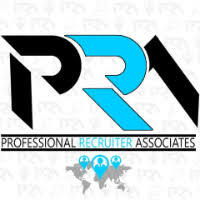 For immediate consideration, please forward a copy of your current resume to info@profrecruiters.com referencing job #1726 or a link to this job.